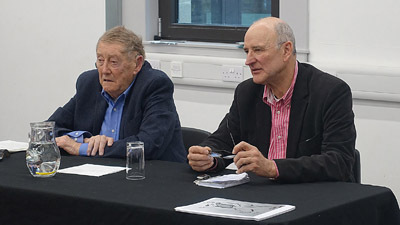 The Society’s AGM took place on the 3 March 2019. Former MP and JBP Society member Austin Mitchell gave a talk ‘Priestley and The People in Wartime’. Austin has engrossed himself in the Priestley wartime broadcasts and provided some new insights into the political dynamics of the time and in particular Churchills views of JBP’s influence on the populous. It is hoped to publish Austin’s monograph later in the year. Other Council Members: Michael Nelson, Ken Smith, Jenny Reavill, Ann Nelson, Lindsay Sutton, John Baxendale, Bill Lawrence Janice Slater, Trevor Johnson, Lorraine Howarth, and Wendy Statham.